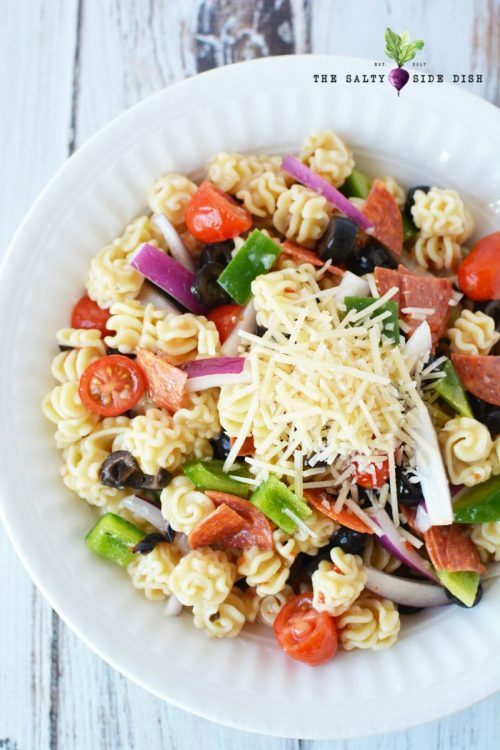 Italian pasta salad is one of the easiest pasta salads to make! 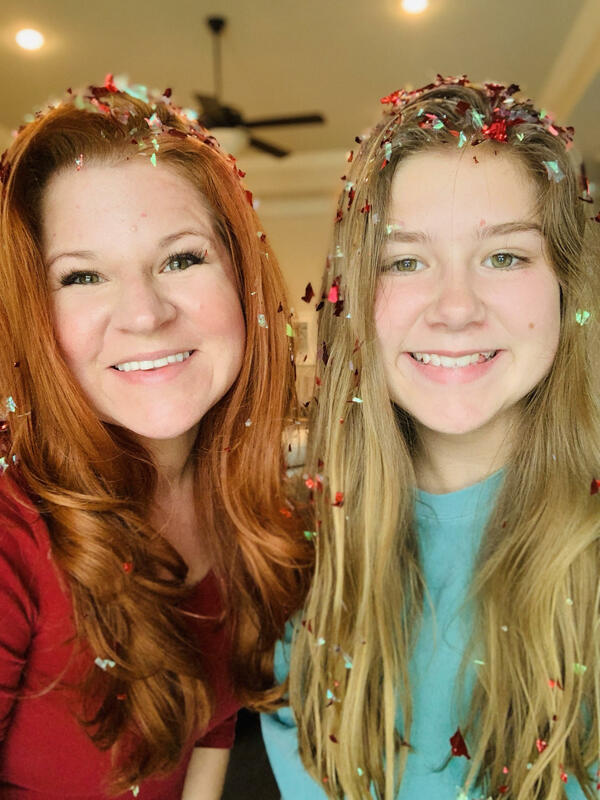 Living in a beach community, there are tons of get together’s all year round. All year round. Something about sun and salt in the air keeps us eating. 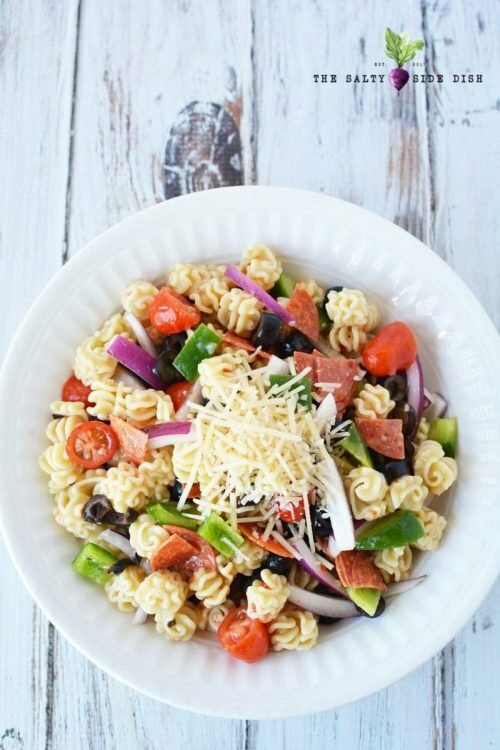 You don’t even know how to make this cold pasta staple to learn in mere minute and its so easy that you really just need to to know how to cut, mix and stir! 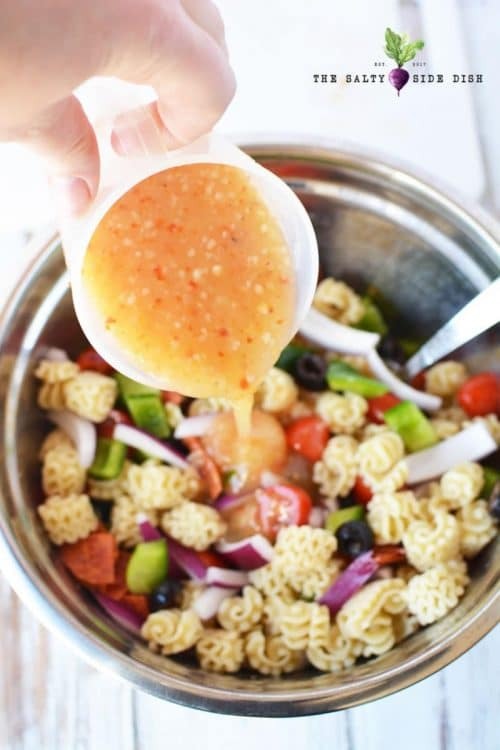 I like to use zesty Italian dressing for a nice kick, but feel free to experiment with this side dish. It also pairs well with a creamy base. 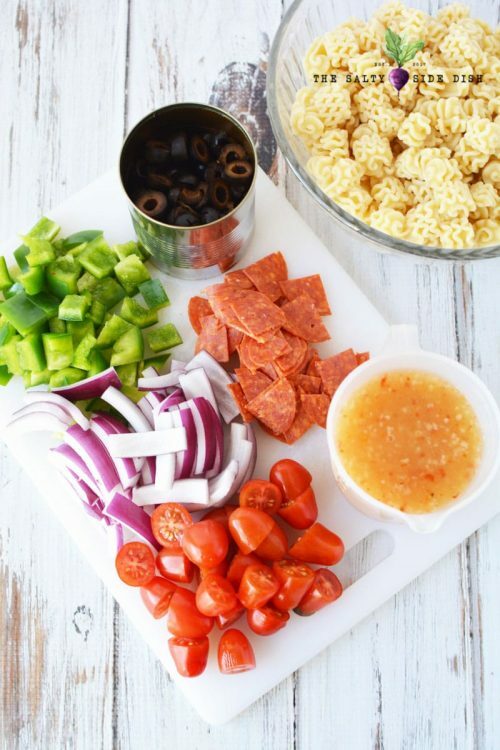 Additionally you can add shrimp or crab or if you prefer a vegetarian option, remove the pepperoni. 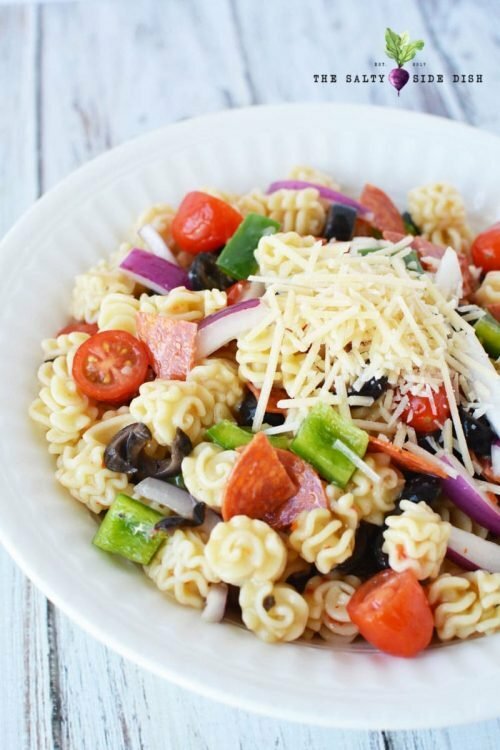 For this salad, I used radiatore because I like it! 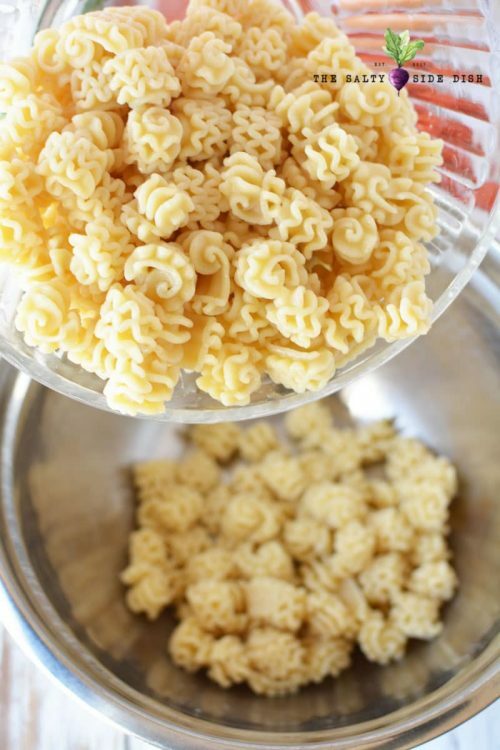 You can also use rotini pasta , which is super common, or really almost any other pasta that makes you happy. 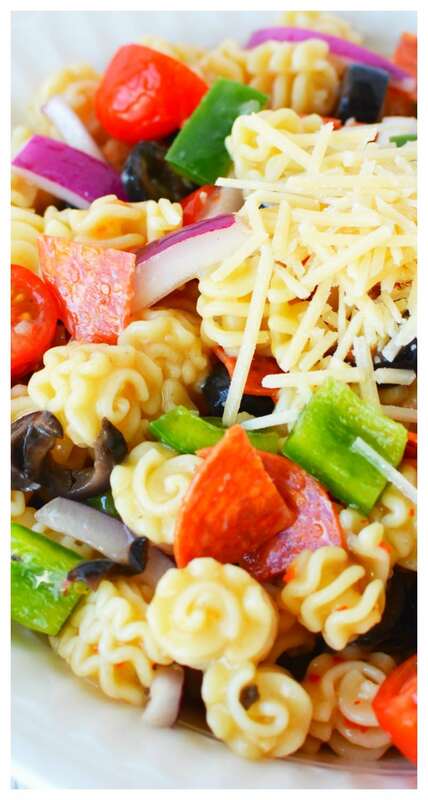 Traditionally it’s rotini and that will be what most people expect. 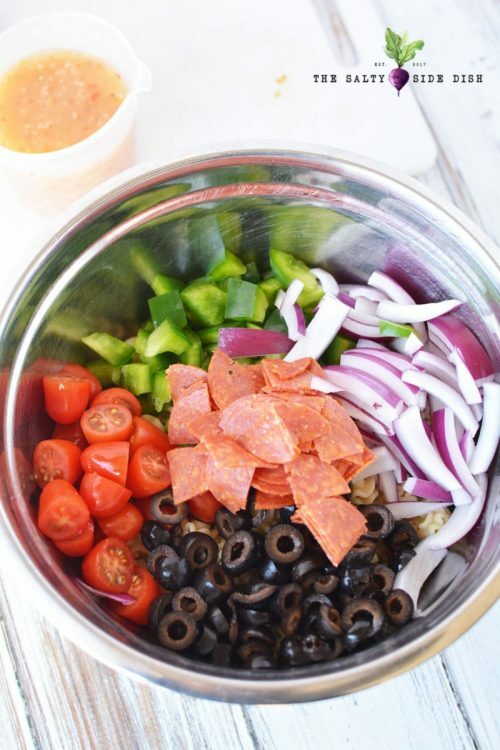 Add pepperoni, olives, green pepper, tomatoes and onion and mix well. Stir in dressing and mix well to evenly coat. 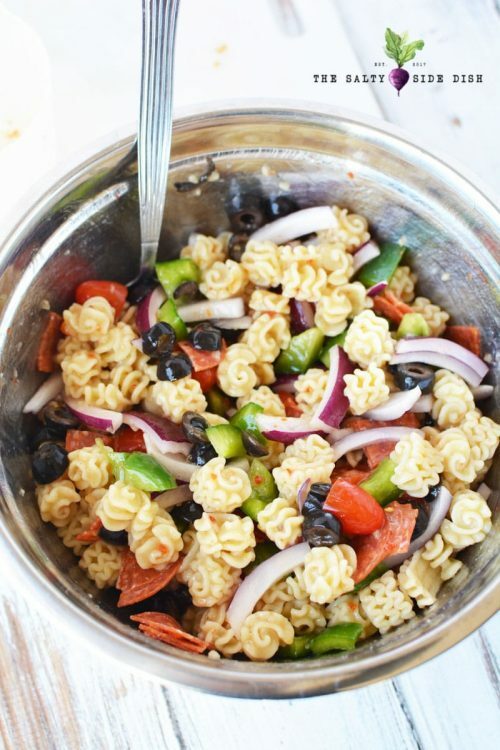 Italian pasta salad is one of the easiest pasta salads to make! 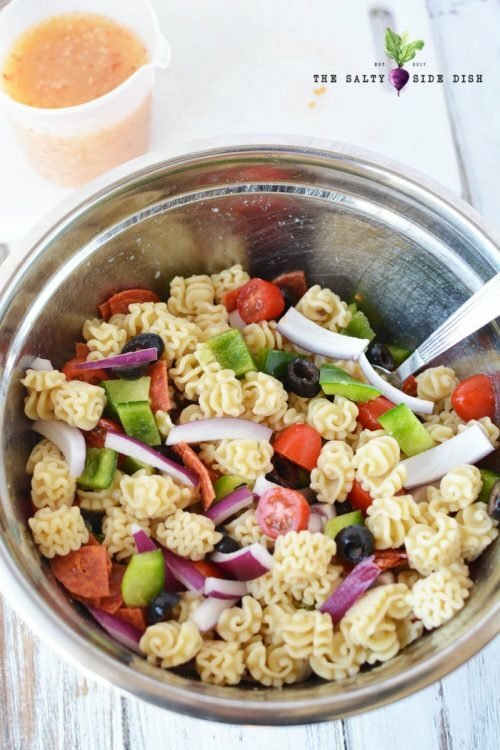 Simply pouring on the Italian dressing makes the spices perfect and the crunch of onions, sweetness of green peppers and olives as well as the tang of spicy pepperoni, create a pulled together cold dish that is perfect all summer long. Do not forget to pin! There are so many amazing recipes out there but I would be honored if you would save mine to make later- you won’t regret it!